How would you like a chance to win cash prize? 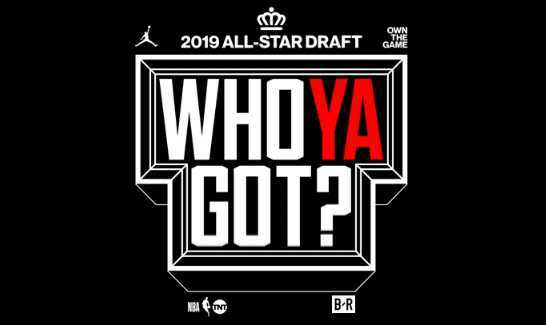 Enter into the NBA All Star Who Ya Got Sweepstakes right now for a chance to win a grand prize of $25,000 cash prize which will be awarded in the form of a check and a jersey. How To Enter: Go to this link:allstarwhoyagot.com during the sweepstakes period and follow the online instructions to register by entering all information requested on the registration form and once you filled out the entry form now Click on the submit button to complete the registration form. Prize: One grand prize winner will receive for $25,000 cash prize in the form of a check and a jersey (size and type of jersey determined by Sponsor in its sole discretion). Total ARV of grand prize is: $25,300. First Prize (1): The first prize is a VIP package to an All-Star weekend. Trip Includes: hotel accommodations, State Farm All-Star Saturday Night tickets Second Prizes (200): The second prize is a pair of Jordan sneakers (style, make and size of sneakers determined by Sponsor in its sole discretion) (each a “Second Prize”). The ARV of each Second Prize is between $120 – $200 (ARV varies based on men’s and women’s shoes as well as shoe size) and other amazing prizes. Total ARV of all prizes is:$77,658.!! When To Enter: This sweepstakes entry begins at 8:00 PM (“ET”) on January 31, 2019, and all entries must be received by 11:59 p.m. ET on February 07, 2019. Who’s Sponsor: The Sponsor of this Sweepstakes is Turner Digital Basketball Services, Inc., 1050 Torchwood Drive NW, Atlanta, GA 30318.